An Ambigram is a form of writing wherein the words remain the same whichever direction it is viewed from. 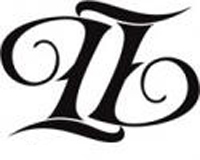 The word pod or dollop is a natural ambigram. It would look exactly the same even when rotated. 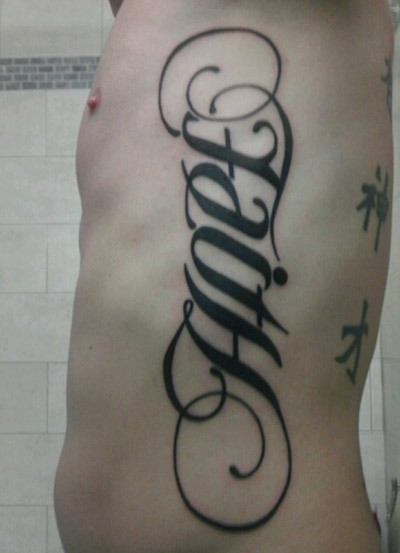 An ambigram tattoo is a very pragmatic and fun way to ink your body. 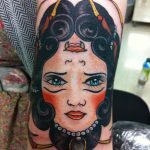 Here are ten ambigram tattoo ideas that you can try too. Tattoos are a work of art. They are a unique way to appreciate art. Inking one’s body is a very difficult decision. This is because the process is painful and fairly permanent. 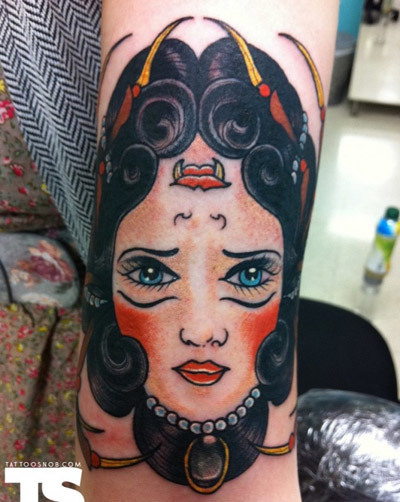 That is why choosing the correct tattoo is a very crucial task. If an ambigram tattoo is what you want, you could get an ambigram face that showcases an angel on one side and a devil on the other. This could represent the existence on both personalities in you. Your name is the most important part of you. 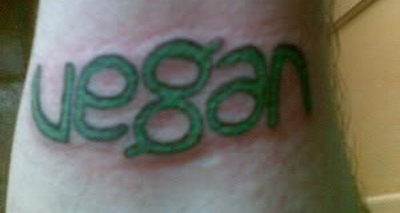 That is why you could get you named tattooed in ambigram. You could add colour to it to make it look exciting and fun. Each of us have a particular zodiac sign. The twelve zodiac signs are Aries, Taurus, Gemini, cancer, Leo, Virgo, Libra, Scorpio, Sagittarius, Capricorn, Aquarius, and Pisces. You could get the first letter of your name tattooed in ambigram. Life should be lived to the fullest. 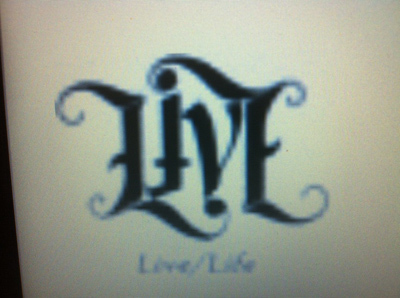 To remind yourself of this, you could get live tattooed in ambigram. 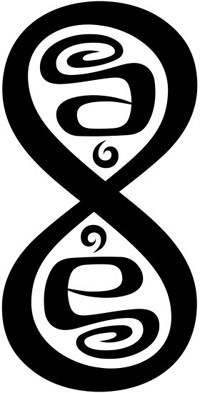 This is a tattoo that will bear a definite meaning. 3D figures look realistic and life like. They are almost tangible. 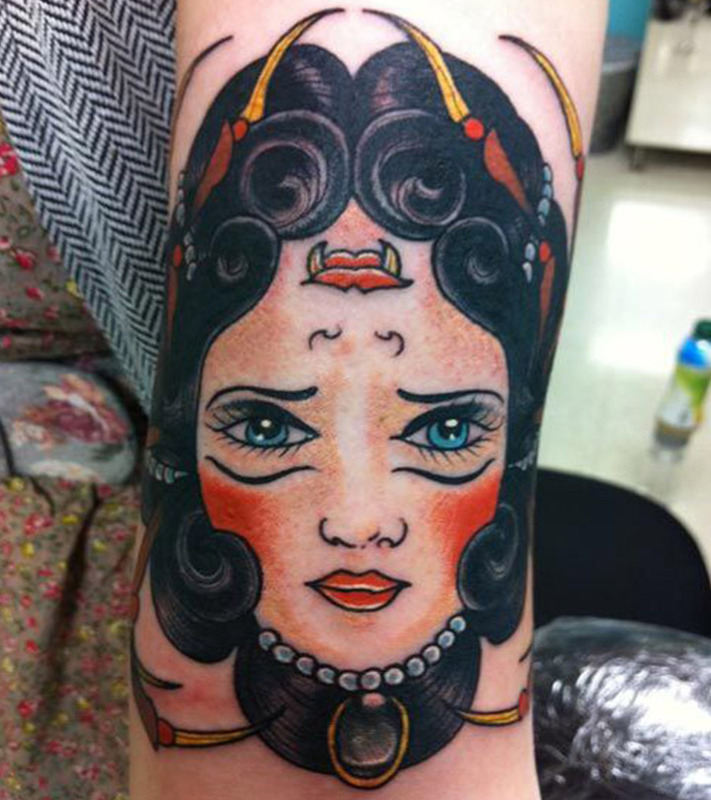 That is what makes them great tattoo material especially for those who view body art as a part of greater art. 3D ambigram tattoos provide the uniqueness of both a tattoo ambigram as well as a 3D tattoo which make them an absolute essential to a tattoo lover. 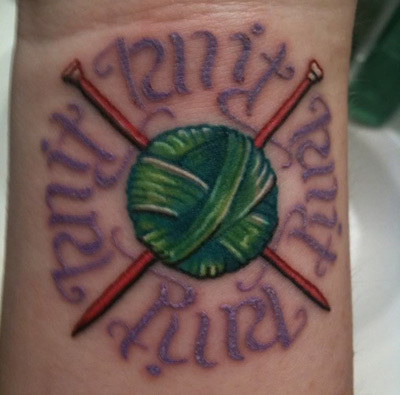 Knit and purl are great ambigram tattoo concepts that look pretty yet simple. 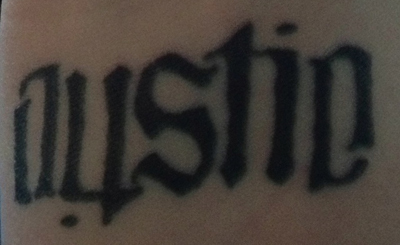 Instead of inking a particular word, you could ink an ambigram design. The design can be done in black or any other colours. A design would look different and stylish. Tattoos uniquely brand a body and an ambigram design would be the perfect way to brand yours. 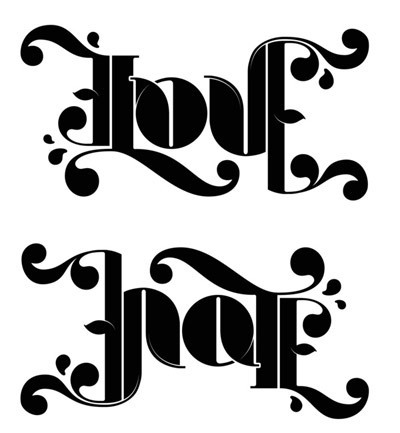 A love ambigram tattoo might be made in such a way that it spells love in whichever direction it is viewed from. This is a very strong and important word and has meaning for almost everyone. 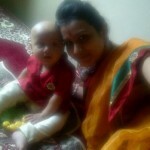 Love could mean familial love or romantic love. Hope and faith are often misinterpreted to mean the same thing. In reality however, both words are very different from each other. Hope is a strong desire for something to happen. Faith on the other hand is complete confidence in something happening. Both these words are very important lessons in life.